I facilitate interventions based on love, care and concern for families struggling with a loved one bound by eating disorders and other addictions. 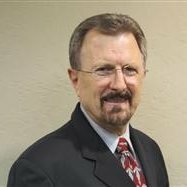 Jerry is a veteran of 20 years in the corporate world, and his strong leadership and organizational skills lend themselves naturally to the intervention process. Dr. Law is a Board Certified Interventionist as well as a Certified Drug, Alcohol and Addictions Counselor. Jerry serves as a Pastoral Counselor at Faith Family Church in Chandler, Arizona, and has degrees in Theology and Counseling. In recovery himself, Jerry brings compassion and a first-hand understanding about how critical it is to break the cycle of disordered eating within the family. He specializes in Interventions for eating disorders and has had the privilege of helping hundreds of families throughout North America present an offer for treatment for their loved one. As a teenager, I was introduced to a loving, risen Savior, Jesus Christ. I asked him into my life and have never looked back. Through all of life’s challenges and struggles, He has always been there. I know that recovery from addictive diseases and compulsive behavior is possible because I am living proof of this fact. As the Serenity Prayer states, “God, grant me the serenity to accept the things I cannot change, the courage to change the things I can, and the wisdom to know the difference.” With God’s love, grace and guidance we are able to live our lives with the knowledge that while life is filled with what we cannot change, He will empower us to live as overcomers in the mist of all trials. I am the developer of the Trans-theoretical Intervention Protocol (TIP). An Intervention protocol that embraces and incorporates the best of several different modalities. This approach is designed to assist your loved one to make a choice for treatment while bringing hope, education and training to the family as well. In addition to facilitating Interventions, I am a nationally known speaker on topics, including addiction, eating disorders, communication and family systems. I also offer consulting and coaching services. I have had the privilege of experiencing Jerry’s unique intervention style as he has presented it interactively at our annual Hungry for Hope conference. Personally, I know him to be a man of great character and integrity, with a passion for seeing others set free. I recommend his services wholeheartedly!